A man arrested while allegedly trying to use a credit card stolen from a woman at Roscoe's Tavern to make hundreds of dollars worth of purchases at a Boystown convenience store this weekend was suspected of trying to pickpocket another woman at an Old Town bar last May. 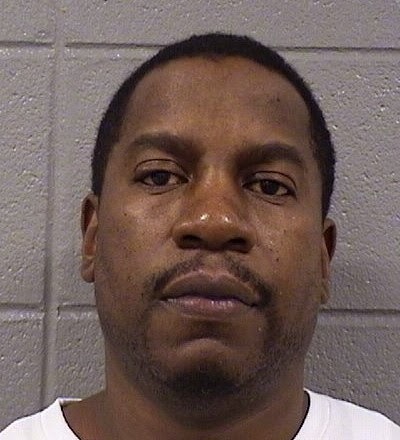 Jimmy Members, 48, of Gage Park is charged with one count of theft of lost or mislaid property after police say they saw him drop stolen credit cards on the floor when they confronted him inside the 7-Eleven at Roscoe and Halsted around 2:40AM Saturday. Officers went to the store after the alleged pickpocketing victim was alerted to her card being used as she reported the theft to other cops. Members had "a bundle of [cash] totaling $570 in his inner coat pocket that he could not account for" at the time of his arrest, police said. Also inventoried by arresting officers were four drivers licenses—one from Texas, one from South Carolina, and two from Illinois—plus Visa cards issued by Wells Fargo, Chase, BAO, and EflexGroup; and a Target credit card. Police were unable to immediately contact owners of the other cards. Last May, Members was charged with simple battery after allegedly striking a woman who tried to take his picture after she felt someone's hand in her purse at Old Town Ale House, 219 W. North Ave, at 2:45AM. The victim in that case found her wallet in the bar's doorway after Members exited, but theft charges could not be filed because the victim was unable to "positively state" that Members took it. Charges were dropped in the Old Town case when the victim failed to show up in court. Members made headlines in 2011 after striking and killing a tourist near Millennium Park while driving under the influence. Charged with DUI, reckless homicide with a motor vehicle, and aggravated DUI involving a death, Members was convicted only of driving with a blood alcohol content of .16. He received a sentence of 10 months probation and community service.